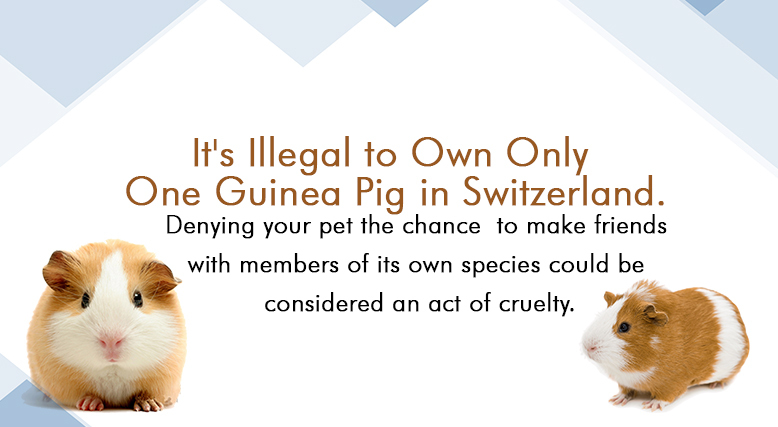 Denying your pet the chance to make friends with members of its own species could be considered an act of cruelty—at least in Switzerland. According to Techly, an animal rights law introduced there in 2008 makes it illegal to own just one guinea pig at a time. The law was part of a legislative push to grant “social rights” to pets that tend to get lonely. Guinea pigs, for example, are herd animals, so having at least one furry companion to share a cage with should supposedly boost their quality of life.